Here is the story behind this bottle. 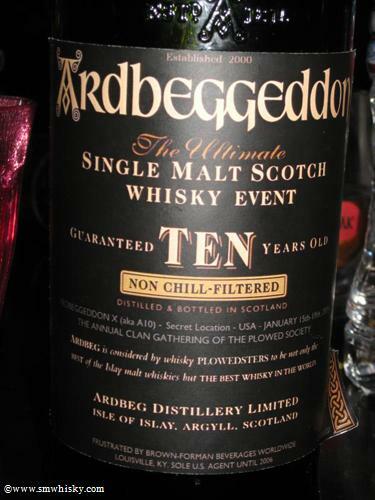 Ganga and Mikeymad (Whiskymag forum members) wanted to create a custom label for an Ardbeg TEN bottle that would be taken to Ardbeggeddon X in January of 2009. 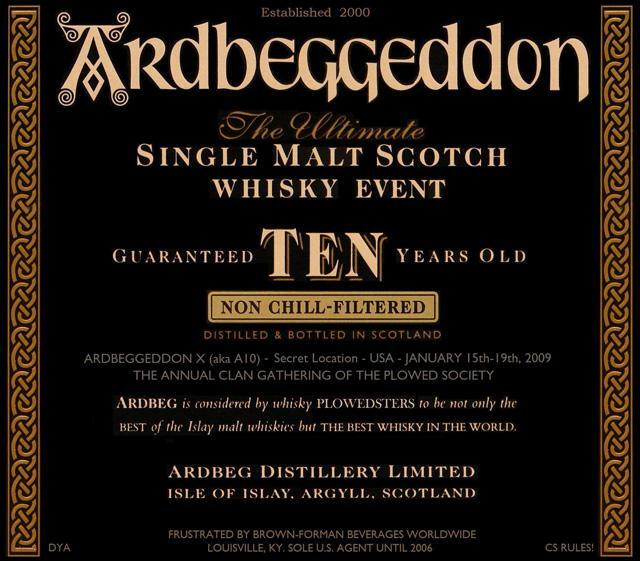 The Ardbeg Project jumped in the fray, and with Mikeymad's consulting, came up with three designs, though they only differed by the description of where Ardbeggeddon X was held. Mikeymad and I presented the label options to Ganga, and he selected the winner. He subsequently got all the printing and label attaching finished, and transported the bottle, and a few posters, to the Secret Loaction. 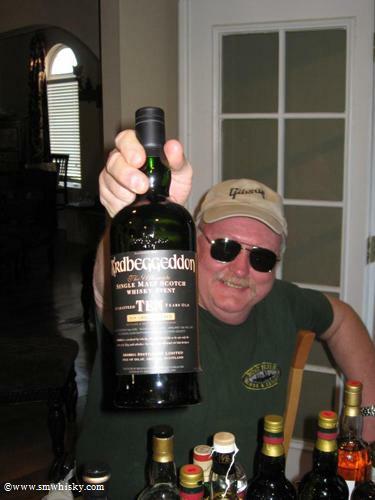 For more info behind the story of Ardbeggeddon, see this link. The whisky inside is actually Ardbeg TEN from the original bottle with code L7 221. Front Label Prior to Printing.